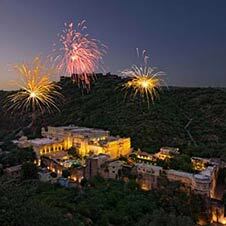 Fireworks light up the sky, lamps twinkle brighter than the stars. 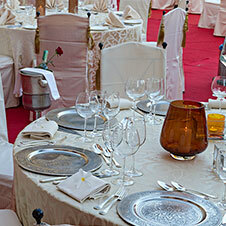 The food is a gourmet's delight, the service is flawless and the celebration is unforgettable – tailor-made to your fantasy. 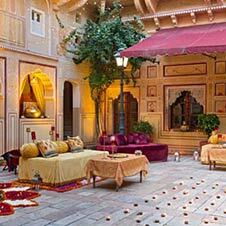 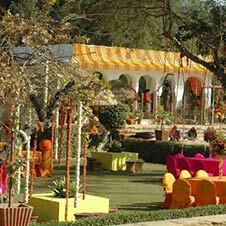 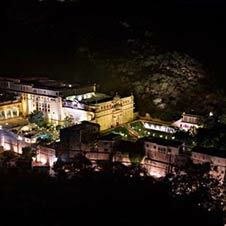 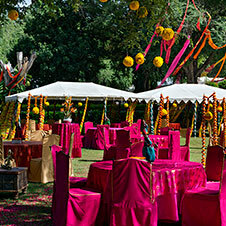 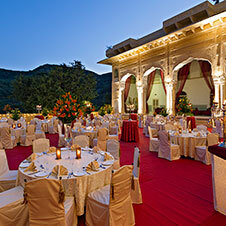 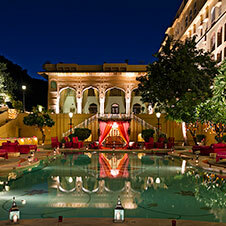 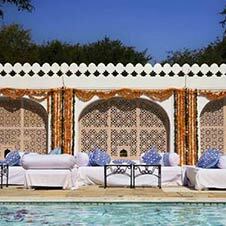 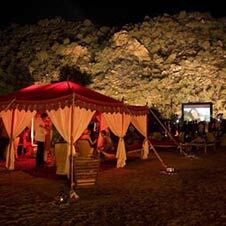 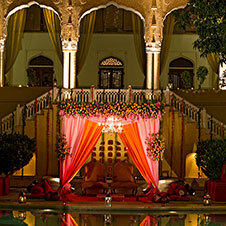 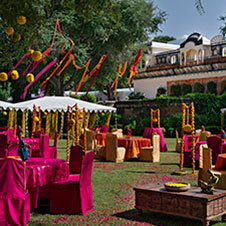 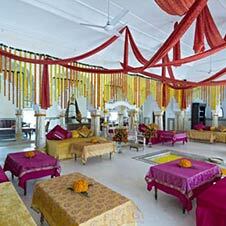 The mandap or sacred fire is arranged in the beautiful courtyard, and a royal banquet set-up in the opulent Darbar hall and the picturesque terraces. 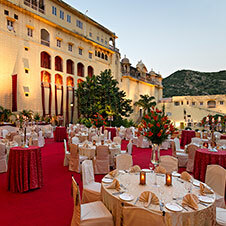 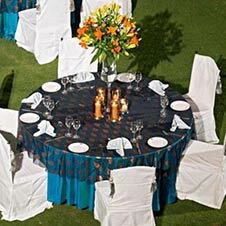 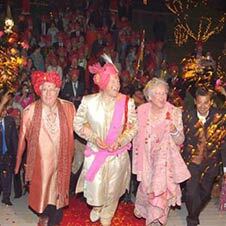 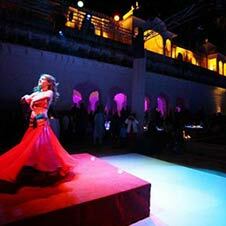 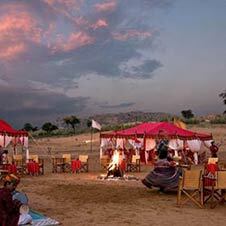 Guests come back to celebrate special anniversaries and occasions. 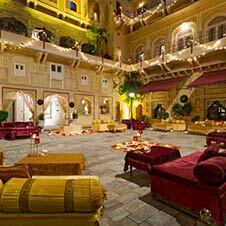 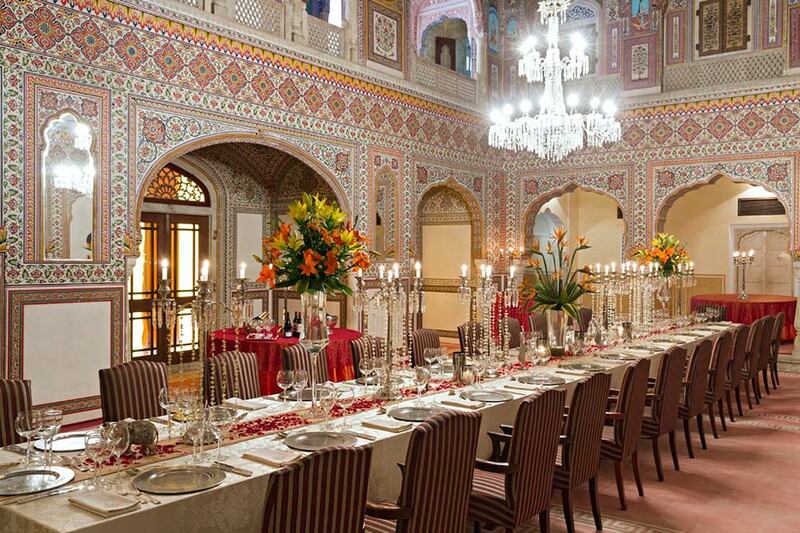 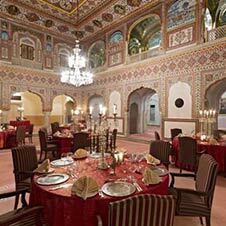 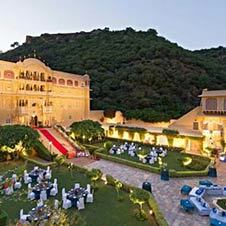 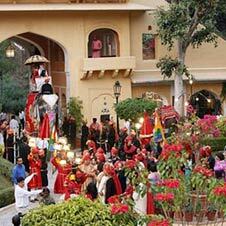 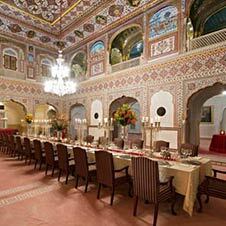 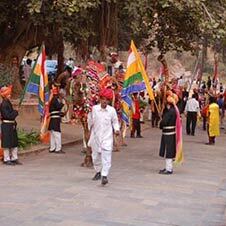 The Samode Palace and Bagh seem to have a lien on celebrations.